Numbers of deaths linked to the bacteria Clostridium difficile have soared in England and Wales. Between 2005 and 2006, death certificates mentioning C. difficile, a hospital-based infection, have risen by 72%, to 6,480, according to new figures released by the Office for National Statistics. It was hoped that stricter surveillance and the hygiene code introduced by the Health Act 2006 would reduce infection rates, but a quick fix was never likely. C. difficile is difficult to eradicate from wards. 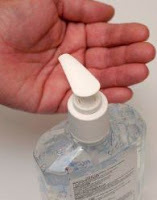 It is resistant to alcohol wipes, requiring surfaces to be cleaned with bleach and nurses to wash their hands between every contact with patients. With a recent cleanliness survey of England’s 394 NHS trusts finding that a quarter failed to comply with hygiene regulations, Conservative peer Lord Mancroft accusing nurses of being ‘grubby and promiscuous’, and general cries to ‘bring back matron’, can high infection rates be blamed on nurses? Not really. Healthcare Commission reports have found that staff shortages and poor management, rather than nursing staff, are to blame for dirty wards. Cleaning is fundamental. Public sector union Unison estimates that the number of NHS cleaners has fallen from 100,000 twenty years ago to 55,000 in 2004, and the Patients Association says that budget deficits have led many hospitals to cut their cleaning contracts. So increased NHS funding is all well and good, but making it conditional on efficiency and productivity is unhelpful if it encourages neglect of hygiene and patient safety. And short-term measures such as Gordon Brown’s one-off deep-cleaning initiative are no substitute for funding greater numbers of daily cleaners. Want to know more about C difficile and other health threats like MRSA and Bird Flu? Pick up Pocket Issue: Pandemics, in the shops from next week.